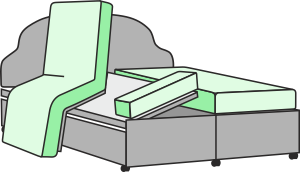 NEW IN HOME DEMONSTRATION SERVICE NOW AVAILABLE, TRY THIS BED IN YOUR HOME. Two Models. GUARANTEED BUY BACK ON ELECTRIC TURNING BED! 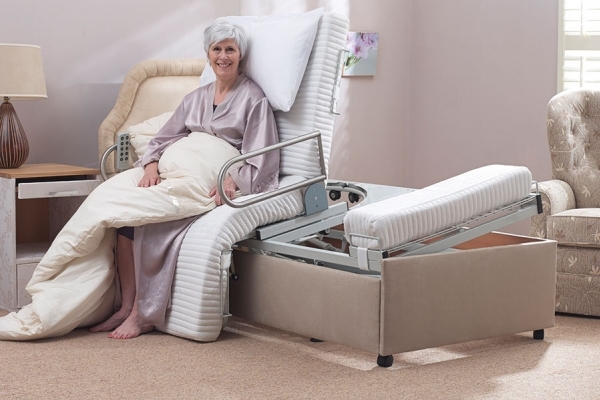 Electric Turning (No Carer Needed as per video) 3ft £7445 : RENTAL ON THIS BED : £450 per wk (Min 4 week rental) £95 per wk there after (electric turning bed). 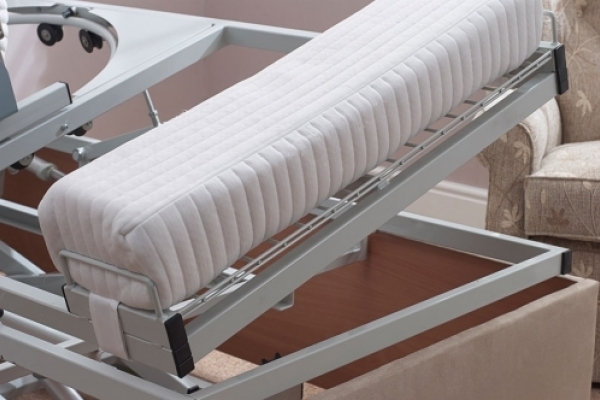 Luxury adjustable bed with high quality Reflex mattress. Sizes: 3ft, 5ft 6inch Dual and 6ft Dual. 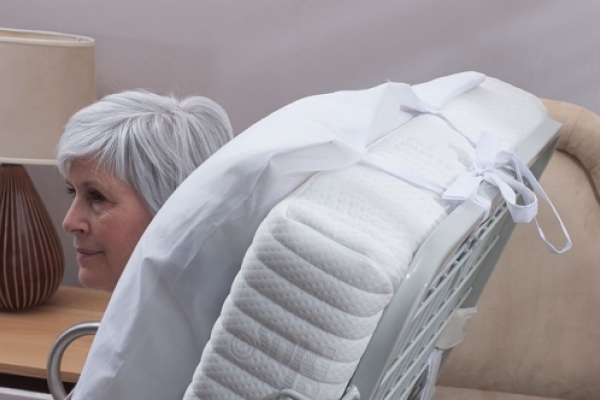 The Electric Turning Bed from Laybrook is the ideal bed for a person who wants independence, as it puts the person from a seated position on the side of the bed and turns the bed into a flat position for sleeping. 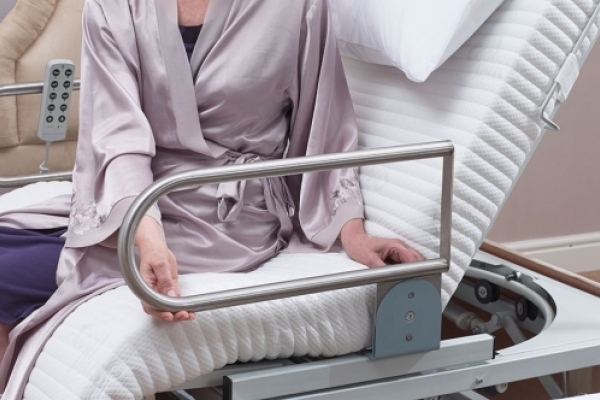 One push of the button will do a full rotation from seated to sleeping position without the need for carers, it helps getting legs onto the bed with the minimum of fuss and gives complete independence. 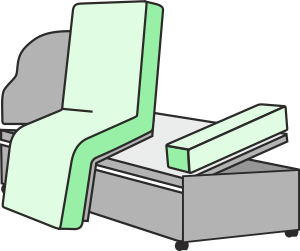 NEW TILTING FUNCTION(When the bed has turned 90 degrees you now can tilt the bed like a riser recliner chair to help get in & out of the bed). see picture 4. The model shown has a beautiful Belgian damask surround and has castors so it can be easily moved. This bed comes with a full 5-year warranty. It is also fully installed by our trained engineers, NOT FLAT PACKED like some companies. The colour of this divan bed surround is beige. If this bed is returned a collection fee of £295 will be charged.